New this year will be the option to purchase your ticket prior to the show. An online ticket will allow you to go directly to the door to enter the show. Any ticket purchase can be used for any day of the show. Online ticket purchases cannot be combined with any other discount offer. The ticket price has been reduced $1 to help compensate for the fees in purchasing a ticket online. Purchase your ticket on-line at Eventbrite! 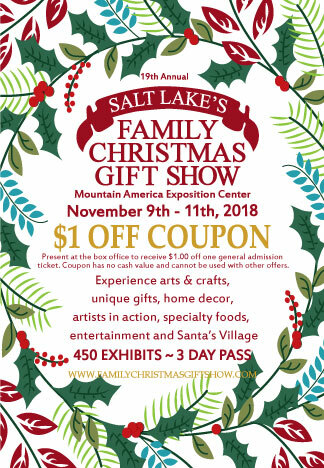 Tickets can be purchased directly at the show in the lobby of Mountain America Expo Center. A ticket purchased can be used to return any subsequent day of the show with a hand stamp and the ticket stub. Use the $1 Off Coupon below for a reduced ticket price.